Center Parcs. which opened its newest holiday village in nearby Woburn, has retained its Hospitality Assured status following a rigorous assessment last month. Hospitality Assured is an industry standard which recognises exceptional service and guest care for customer facing businesses. The accreditation process encourages businesses to look at its operation from the customer’s perspective, measuring Center Parcs against a series of performance indicators. The indicators allow Center Parcs to continually judge and measure itself in order to improve and enhance the service provided and, give customers the opportunity and reassurance to choose an organisation where high quality service is guaranteed. The re-assessment involved interviews with nominated members of Center Parcs staff across its four UK Villages and head office. Responses and evidence were collated based around standards such as customer research, customer service promise, business leadership and planning, operational planning and standards of performance, resources, training and development, service delivery and recovery and customer service improvement. 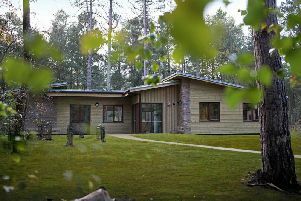 According to the report the Hospitality Assured external assessors were ‘extremely impressed by the continued improvements that Center Parcs has strived to achieve over the past 12 months’ and particularly praised the business on how effectively and efficiently the Woburn Forest village - which opened in 2014 - has been integrated. Paul Kent, Center Parcs operations and development director said the awarding of the status proves his company delivers ‘excellent service’. The external assessment visits were carried out at all Center Parc villages including Woburn which has only been open 16 months and all of them retained five star status.